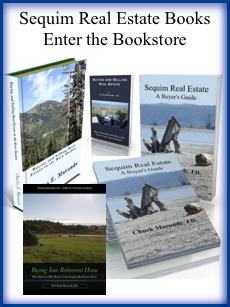 Sequim Open House Weekend: Do Open Houses Sell Houses? This weekend is Sequim Open House Weekend. The National Association of Realtors (NAR) is promoting the idea, and local associations are advertising in newspapers, and Realtors across the country are holding open houses for their listings. So the big question is, “Do open houses sell houses?” The unequivocal honest answer is, “No!” We’ve known this for decades inside the real estate community. This doesn’t mean you shouldn’t have an open house, but if you do you should know exactly what Realtors know: Open houses don’t sell houses, but they do give agents new buyer leads. This means that open houses are not helping homeowners sell their homes. An open house first and foremost is to promote the real estate agent. It’s nice if you want to help your listing agent get new leads by holding an open house, but don’t be under the misconception that your agent will sell your home at the open house. He or she could sell it, but the odds of that happening are about 1 in 100. As long as you understand that, you won’t be disillusioned if nothing happens. Sequim Open House Sales Only 1%? 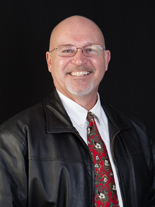 So why would a Realtor hold a Sequim open house? There are two reasons. First, they hold a Sequim open house to satisfy their selling clients, to be able to tell them they are doing something to market the home. Let’s be honest with each other. That reason is more smoke and mirrors than anything else. (Notice this blog is consumer oriented not Realtor oriented.) The second reason is more substantive. Realtors hold an open house so they can get a list of prospective buyers. There it is! The primary purpose of an open house is so the Realtor can meet buyers and try to reel them in. They know they won’t sell them the open house, but they want to sell them something. Proof: Go to a Sequim open house and listen to the questions the hosting Realtor asks you. Do you live in the area? How soon do you plan to buy a home? Have you pre-qualified? What is your price range? What kind of work do you do? Do you both work? How many children do you have? Where do you live now? Do you rent or own? Would you sign-in here with your name, address, phone number, and email address? Why would you give a Realtor you have not even hired to represent you all this personal information? But there is an even greater danger you’ll want to know about. Why is this such a big deal for buyers? Why is it a red flag? 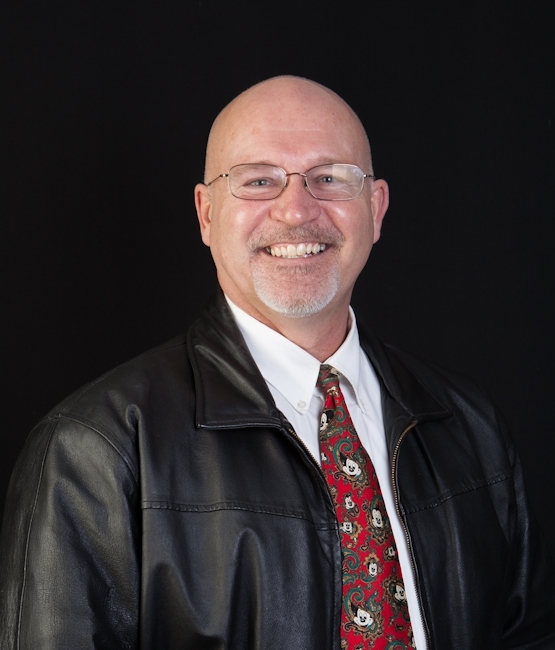 Why would I as a Realtor warn buyers about Sequim open house weekend? The answer will be obvious when I tell you, if it isn’t already. 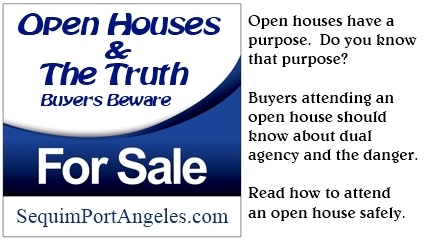 The listing Realtor who is hosting the open house represents the seller, not you. This agent has a legal and fiduciary duty to get the seller the highest possible price and the best possible terms. If you really were interested in a home, would you want to give the seller’s agent all your personal information, information that could be used to negotiate against you? Of course not. Read a fuller explanation of the Danger of Dual Agency. I’ve been in the real estate business for 30 years, 20 as a real estate attorney. I love the real estate business, and I love representing my clients ethically and without conflict. I believe my job is to put my clients’ interest first and foremost above all else, even above my own interests. With that in mind, I do a lot of educational articles on this real estate blog, sharing the truth about how the real estate business really works behind the scenes so that buyers can be aware of traps for the unwary, avoid sales gimmicks by agents, and protect themselves from conflicts that could cost them a lot of money. Who actually shows up at a Sequim open house? Curious neighbors, tire kickers, locals taking a Sunday drive and out for a little fun. Guess what? There’s an entirely new way to market homes today, and that approach responds precisely to how buyers are searching for homes, and that approach does not involve holding a Sequim open house. If you want to know more about that, email me or call me. Having written all this, guess what I’m doing this weekend? I’ll be out for some recreation myself driving around looking at houses on Sequim open house weekend.